“Memories from the Table” celebrates our deep connections to food through family, friends and traditions. Featured segments include a yearly gathering to make pierogi for Christmas, a student's tribute to the culinary delights of her Italian and Hispanic grandmothers, a group of fraternity brothers who conduct an annual sausage making event, and more. Memories From The Table aired on Dec 19, 2013. Renewal and Reality: Has the Smoke Cleared? Neighborhoods in Pittsburgh are growing. More young adults are moving into the city, attracted by low housing costs, arts, culture and a trendy food scene. The city tops national lists on livability. But despite the high rankings, Pittsburgh lags in diversity and air quality. And some critics worry that a trendier Pittsburgh will drive up the cost of living and displace people with lower incomes. This program spotlights the positives in communities including Lawrenceville, Manchester and Larimer, while exploring possible ramifications of the negatives. WQED Multimedia honors Elsie Hilliard Hillman and her lasting legacy. Elsie was well known for her philanthropy, politics and her dedication to the city of Pittsburgh. During this one-hour special, several Pittsburghers share their favorite memories of Elsie Hillman. At a time when the electorate is clearly divided, even angry, WQED's Michael Bartley brings you the story of a Pittsburgh political giant who spent 40 years working both sides of the political aisle. Michael brings viewers a candid interview with Elsie Hillman, and takes viewers to an exclusive University of Pittsburgh gala, where political leaders and celebrities lauded her voice of reason, compromise, and friendship. 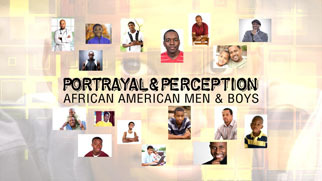 Host Chris Moore and a group of local experts gather for a conversation about the current issues facing African American males from a societal and legal perspective. Though statistics and attitudes may show a slight narrowing of America’s racial divide, the highly-charged racial incidents in Missouri, New York and South Carolina tell another story. In the culmination of our three-year initiative, we talk not only with community and law enforcement leaders, but with the generation of young men whose lives are most affected – examining accomplishments and objectives that remain.